During the past seven years we’ve published more than 16,350 news stories – all of which are still available online – and more than 35,200 photographs. We have also accepted more than 4058 “letters to the editor” (ie. comments) on stories. We’ve been active on social media (our Facebook page passed 6000 “likes” this week), and we also post on Twitter, YouTube and SoundCloud. It’s been an exciting – and sometimes exhausting – effort to bring you our region’s local news every Monday to Friday, as well as on weekends whenever big stories break. But you’ve rewarded us with seven years of steady growth in readership and page views, and we’re very proud of the trust you’ve placed in us to bring you the South Burnett’s news accurately, honestly, fairly … and for free. During the past year we received more than 3.1 million visitors, ranging from 37,513 a week in January (when we were on holidays) to more than 103,180 visitors a week in June, when several of our articles drew national attention. Across the full year, we averaged 60,532 visitors per week – a big increase over the 13,823 weekly visitors we received in 2012. 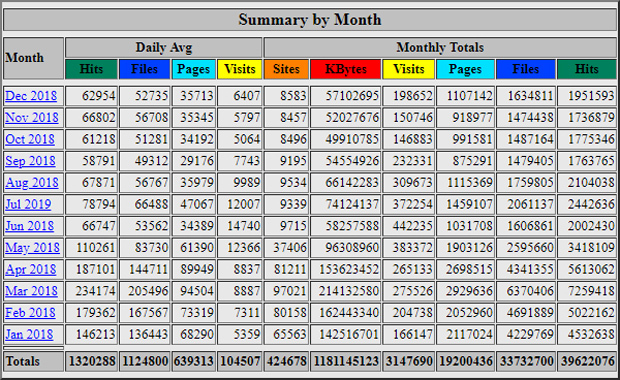 As well, last year our readers read 19.2 million pages on our site, an average of almost 370,000 pages every week. And to do it, in the past 12 months our server chewed through 1.18 terabytes of bandwidth! When we kicked off our news format in April 2012, the concept of online local news was new. We were actually the first online newspaper in the South Burnett. Some people predicted that we would be a novelty that would only appeal to a small section of the population. According to Google Analytics, 60 per cent of our readers are female and 40 per cent are male; 43 per cent are aged 18-44, and 57 per cent are aged 45-plus. Google also tell us that while most of you visit us daily, some of you visit us every two days, some every three, and some once a week. However, in any average month during the past year, we reached between 21,000 and 25,000 unique human beings, 92 per cent of whom either live in the South Burnett or have a direct connection with it. Boiling that down to a daily basis, we estimate we now reach between 9000 and 10,000 people every weekday, and slightly less on weekends. Over the past seven years we’ve been very proud to receive advertising support from some of the largest businesses, organisations and events in our region. Like all media, we make our income from advertising. We believe we’ve now reached the point where we can offer local businesses – especially small businesses who’ve been priced out of the market by paying too much to reach too few readers – several inexpensive ways to reach potential new customers and existing customers. In addition, after several years in the doldrums, we think the South Burnett’s economy is on the way back up. We believe this growth can be fuelled by speeding up our local markets, and the best way to do this is to encourage South Burnett businesses to get out into the market to sell their goods and services. We’d like to invite local businesses to become a part of this brighter future. For our part, extra revenue from advertising would allow us to tackle several projects we have on our desks that will expand what we’re doing, and hire staff we can train to become the next generation of South Burnett Online. We would like to ensure our region continues to have locally owned, locally run media. Why? Because good country journalism only thrives when reporters know the background, the people, the places and the meaning of the stories they report. In the meantime, thank you once again for your unflagging support. 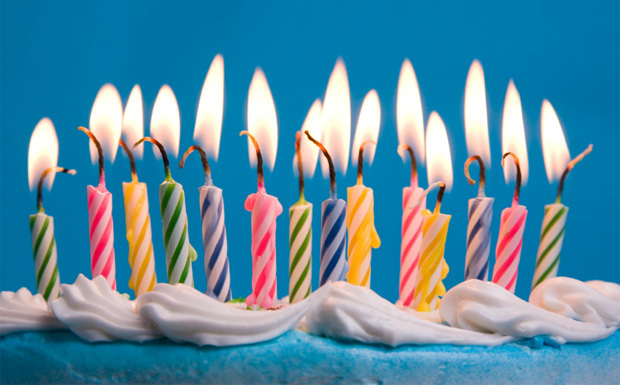 8 Responses to It’s Our 7th Birthday! Keep up the good work. I check in every day. Thank you for such pertinent and timely publications of our local news. We read your stories with interest daily and are impressed by the accuracy and lack of bias in them. As grey nomads we keep in contact with the South Burnett wherever our travels take us. I make your site a must do ‘click’ everyday. Thank you for bringing the articles to my social media device. Appreciate your coverage and variety of stories. Well done and keep up the valuable and important local news. A big congratulations to the team at South Burnett Online on your 19th year of providing this important local service. I remember fondly the very early days of SBO and your important role in sharing your immense knowledge of what was then a very new concept of an online economy and important new way to market your products and services. Our family now reside outside the South Burnett but find it very comforting to be able to log into SBO regularly and keep up to date with all the local news and events. SBO is the 1st website listed in my Favorites and will remain so while you continue to provide such a good product. Congratulations Anne and Dafyd for your ongoing supportive and unbiased reporting of South Burnett community activities and news. Best wishes for the next 7 years and beyond. Congratulations and many thanks for providing such an important local source of information over the past 7 years. I particularly appreciate your occasional editorials which always present food for thought. Thank you Anne and Dafyd for your integrity in journalist reporting. May you continue to thrive. Thank you everyone for your kind words and support. With a special mention to Cameron Bisley who was there when South Burnett Online first began so many years ago!